Is There An Inventory Crisis In Westwood? The Westwood Little Holmby home at 495 Dalehurst Ave., LA CA 90024 lasted a few weeks on the market before accepting one of the crazy multiple offers on 2/27/14. I think just about every broker in town represented a client that made an offer on this house. Actually I am not exaggerating when I say every broker in town, as there was approximately 50 offers on this house. Yup, I said FIVE ZERO, Fifty. As in, half way to ONE HUNDRED. Was the home priced too low? Was this a special location? Unique or oversized lot? Was the house amazingly remodeled? Maybe everyone knew about the gold bars locked in the basement vault.....kidding. Price- Yes, in my opinion it was under priced by a few hundred thousand considering what some recent fixer'ish homes were selling for on less desirable Thayer location and the activity they received at those prices. Location- Dalehurst is a desirable street in Little Holmby, so the location is above average inside of the Little Holmby neighborhood. Lot- The topography of the lot was mostly flat. This makes a big difference in desirability if the elevation to the front door from the street has limited stairs and the lot is flat. Many homes in Little Holmby are on knolls or hillsides and could have steep sets of stairs to the front door, detached garages at street level with the house above and tiered backyards. This could be the difference in a achieving a high $1m price to a low $3m price for a fixer property on average. Remodeled- Nooooope. This house is either a total fixer or a teardown. This house was not overly special in any one way that deserved an obscene amount of offers, other than being an underpriced fixer in one of the more desirable neighborhoods around. To get 50 offers, even with the under pricing of the home, speaks to the severe lack of inventory around...hence what I believe is still an Inventory Crisis in Westwood. This isn't some secret that was revealed just now. If you have been home shopping around in Westwood or anywhere on the Westside, you may have sensed this. Not being able to find available homes or being outbid on the homes you like. Most neighboring cities are faced with an inventory shortage with their own stories of crazy multiple offer scenarios. In the Westwood neighborhood Comstock Hills a few months ago, we had another house receive 40+ offers on it in the +/- $1.5 range. There has been homes with offers in the teens and twenties as well. Most single family homes in Westwood are receiving multiple offers. I would say it's much more typical to face in the neighborhood of +/- 10 offers on a hotter property and 3-5 offers on something more average. Here is another stat for you....In 2013, over 55% of Westwood homes sell in under 30 days with a list price to sales price of 106%. Pent up demand, low inventory levels, stability and rise in the real estate market, international investors, people's fear of rising interest rates, moving 'cash' from savings/investments to real estate holdings, homeowners holding on to property if they don't have to sell since market is going up, difficulty for homeowners to move up or down in same area because of the lack of inventory to replace their property are all reasons that are contributing to this demand and supply crisis. Last year Los Angeles county was up approximately 20% in price on average. Most analysts are forecasting a rise in prices for 2014, albeit a more moderate and steady pace compared with historical trends. To create a more neutral buyer/sellers market, we are going to have to see more inventory come on the market and get out of this Inventory Crisis. 495 Dalehurst Ave. closed on 3/12/14 for a whopping 34% OVER the asking price at $2,655,000 |$707 $/sf or $261 $/sf for the lot|. According to the MLS, the home is 5 bedrooms/ 4 baths, 3,755 sq ft of living space on a 10,160 sq ft lot. What Did That Westwood Home Sell For At 10586 Ohio Ave? 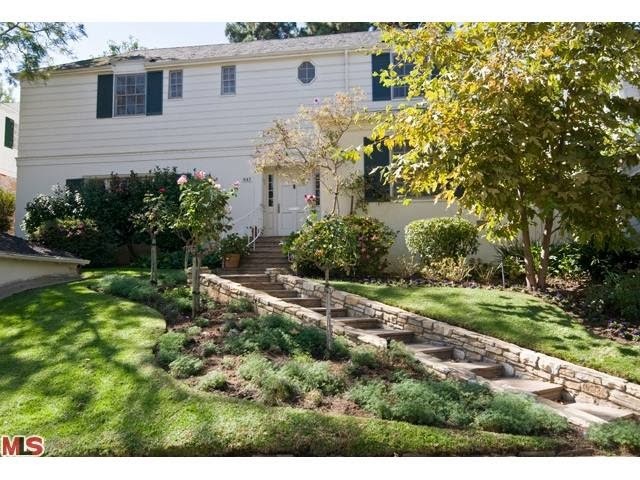 The Westwood home at 10586 Ohio Ave, LA CA 90024 lasted 1-2 weeks on the market before accepting an offer on 2/22/14. The home was listed on 1/24/14 and accepted an offer just over a week of coming on the market. That buyer then backed out and a week later another offer was accepted. 10586 Ohio was purchased back in October of 2013 for $1,268,000 as a heavy fixer/teardown type property and was then completely remodeled to be sold (flipped). The developer used very tasteful finishes throughout that appealed to the majority of buyers these days. Especially the ones looking to spend +/- $2m in Westwood. Therefore it sold very quickly. Unlike the developer who purchased the house on Thayer to flip in Little Holmby. The poor finish choices has not appealed to the mid $2 million dollar buyer who would ordinarily be all over a redone home for that price in Little Holmby. 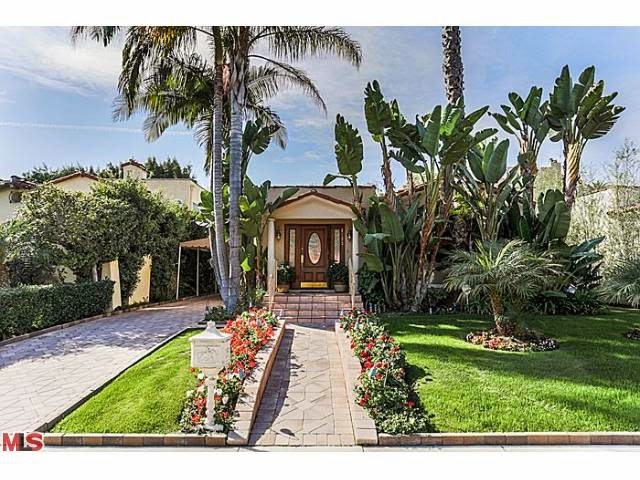 This Westwood home at 10586 Ohio Ave closed on 2/21/14 for 4.83% under the asking price at $1,950,000 |$795 $/sf|. According to the MLS, the home is a 4 bed / 3 bath, 2,453 sq ft home on a 6,499 sq ft lot. The Westwood Little Holmby home at 430 Dalehurst Ave., LA CA 90024 lasted 22 days on the active market before accepting an offer on 2/07/14. Back in 2013, the home spent some time on the market with an initial list price of $3,559,000. Two weeks in the listing period, they received an accepted offer and went into escrow. However, after a brief stint in escrow, the home returned to market at the end of the 1st week in June. It then received a $200,000 price reductino and sat on the market until the seller pulled it off at the end of the Summer. The home was re-listed in January 2014 and sold in just a few weeks.The Little Holmby Cape Cod sits on a rather large flat lot of a little over 13k feet, complete with a side patio off the living room and a pool in the rear yard. This is a 2 story home, but the master suite is the 1st floor. So potentially, one would never need to climb the stairs, making this home suitable to anyone having difficulty with stairs. 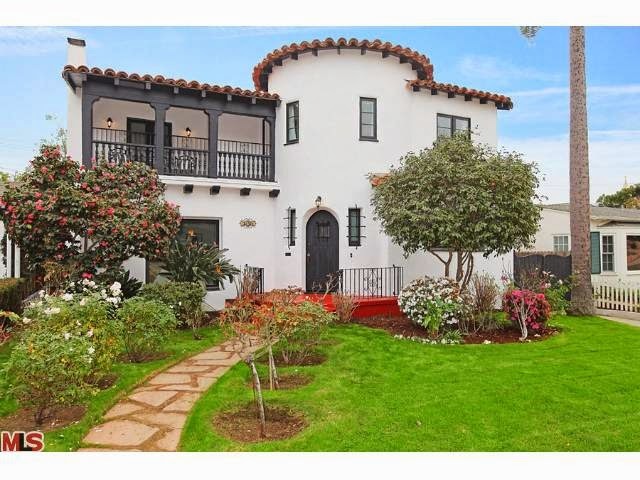 430 Dalehurst Ave. closed on 3/25/14 with a final sales price of $3,325,000 |$932 $/sf|. According to the MLS, the home is 4 bedrooms/ 4 baths, 3,569 sq ft of living space on a 13,400 sq ft lot. On 3/25/14, 2370 Malcolm Ave closed slightly under the asking price at $1,290,000 |$793 $/sf|. According to the MLS, the home is a 3 bedroom / 2 bath, 1,626 sf of living space on a 6,750 sf lot. 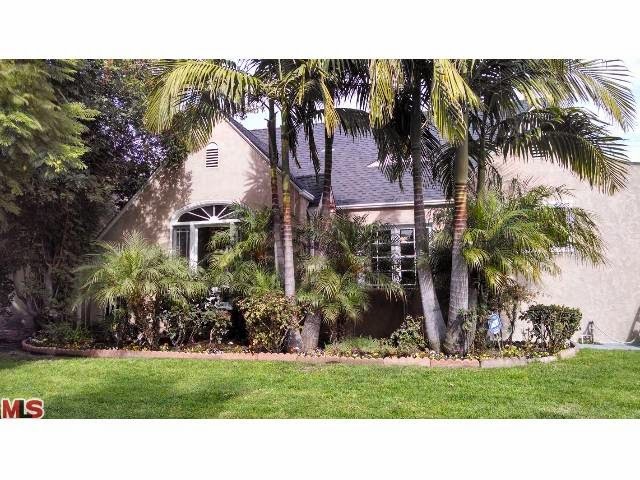 The Westwood home at 2123 Camden Ave., LA CA 90025 lasted about 5 days on the market before entering escrow on 2/03/14. Previously, the home had spent about 2 months on the market in late 2013 without selling. The starting price was set at $1,700,000 and reduced down to $1,575,000 after just 3 weeks on the market. Then it looks like the home was taken off the market for the Holidays. Then returning at the end of January of 2014 with the reduced price of $1,399,000, it sold quickly and over asking. This 20's Mediterranean(ish) home has been updated throughout the inside and was move-in condition for someone. The garage has been converted to a guesthouse like space for additional living. Since this house is on the west of Camden, you do have apartments/condos from the east side of Bentley looking down into your backyard. The new owner may want to invest in some landscaping to make the rear yard a little more private. On 3/24/14, 2123 Camden Ave closed about 2% over the asking price at $1,425,000 |$663 $/sf|. According to the MLS, the home is a 3 bedroom / 3 bath, 2,150 sf of living space on a 6,500 sf lot. The Westwood home at 2144 Midvale Ave, LA CA 90025 received a price reduction of 3.28% or $50,000, down to $1,475,000 |$/sf 636|. Listed February 27th, 2014 for $1,525,000, this is the 1st price reduction of the listing term. The 20's Tudor style home has been remodeled throughout and is in move-in condition. If you like huuuuge master suites, then this home is up your alley. The rear master suite in this home dwarfs about any master suite in this price range I have ever seen in Westwood. It's more like the size you would see in the bigger $3-4+ million dollar homes in Little Holmby, Bel-Air, Brentwood, etc.. According to the MLS, the home is a 4 bedroom / 3 bath, 2,319 sq ft of living space on a 6,750 sq ft lot. On 3/16/14, 11182 W. Sunset Blvd. closed $45,000 or ~2% under the asking price at $2,145,000 |$715 $/sf|. According to the MLS, the home is a 3 bedroom / 3.5 bath, 3,000 sq ft of living space on a 13,750 sf lot. The Westwood home at 1902 Midvale Ave LA CA 90025 received a price reduction of 9.1% or $200,000, down to $1,999,000 |$/sf 645|. Listed February 14th, 2014 for $2,199,000, this is the 1st price reduction of the listing term. It today's market, it is very rare for me to post a price reduction in Westwood for a single family home. Actually over the last few weeks we had two homes that had price increases, which didn't get posted here. 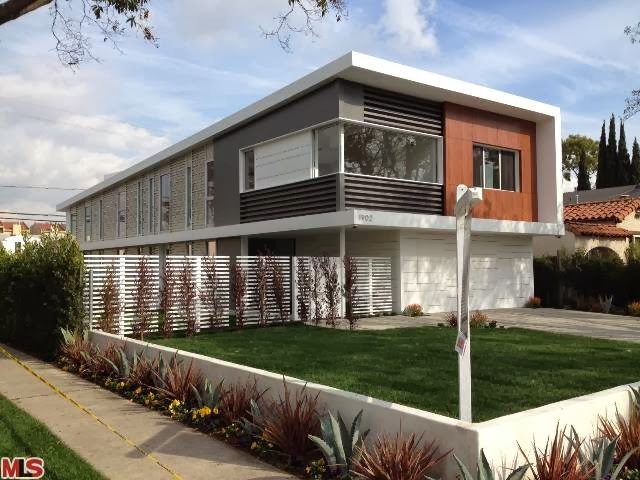 This particular home is a new construction architectural style home in the hear of the Westwood Blvd corridor. For those that know the neighborhood, the previous original house used to have an owner who built extravagant Halloween haunted houses in the front yard each year for the kids. Have Pets? You can walk ~50 yards to the Petco and get your supplies. Eat alot of vitamins/supplements? You can walk less than ~50 yards to the Vitamin Shoppe. Situated on the corner of Midvale and Missouri, this is a very convenient location to stroll a block to all the shops and food places on Westwood Blvd. According to the MLS, the home is a 5 bedroom / 3 bath, 3,100 sq ft of living space on a 7,441 sq ft lot. What Did That Westwood Hills Home Sell For 337 Veteran Ave? The Westwood Hills home at 337 Veteran Ave, LA CA 90024 lasted about 2 weeks on the market before accepting an offer on 1/24/14. This 30's traditional turned contemporary style home was completely remodeled throughout and is in move-in type condition. One of the nice features with this property is the large 10k+ sf flat lot. It is very hard to find that large of lot, all flat, in any sub neighborhood of Westwood. On 3/6/14, 337 Veteran Ave closed $10,000 or ~.4% over the asking price at $2,305,000 |$821 $/sf|. According to the MLS, the home is a 3 bedroom / 4 bath, 2,809 sq ft of living space on a 10,285 sf lot. 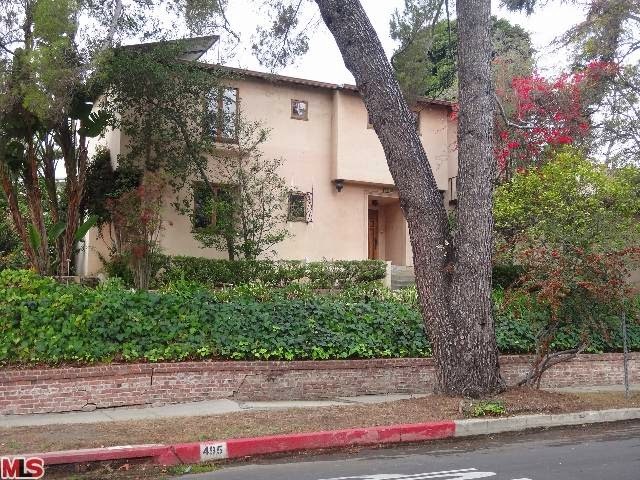 What Did That Westwood Home Sell For At 1557 Kelton Ave? The Westwood home at 1557 Kelton Ave, LA CA 90024 lasted 3 weeks on the market before accepting an offer on 1/19/14. This home on Kelton, just south of Wilshire, came on the market a few days before New Years Eve for a very ambitious $1,699,000. Had this been a redone home head to toe, that number would have been attainable considering the location and size. However, this home looked to be in very poor condition with an odd floorplan. There were two bedrooms downstairs, with one being more of a den and 2 bedrooms upstairs that had more of an "un-permitted" look to them. All the finishes were vintage 40's and potentially the systems as well. But just a few weeks into the listing, a buyer swooped in and paid a big $1.5m number for this heavy project or teardown home. While the buyer only paid ~88% of the asking price, which is almost unheard of in Westwood where the average is closer to ~100% of the asking price, I believe $1.5m was still a big number for this home. It will be interesting to see if this is torn down for a new project or just gutted and remodeled. 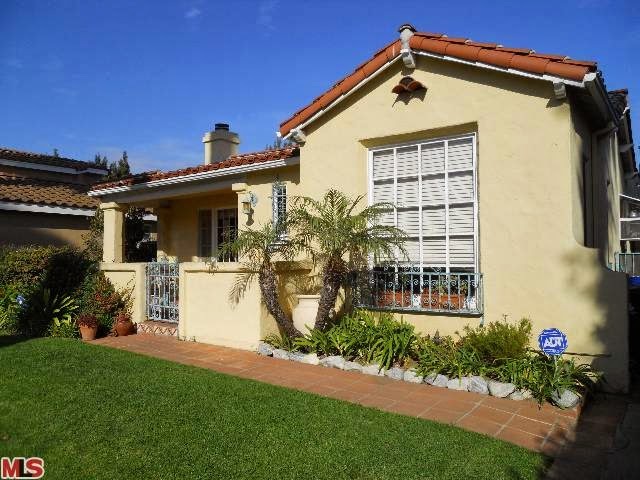 This Westwood home at 1557 Kelton Ave closed on 2/21/14 for 11.7% under the asking price at $1,500,000 |$592 $/sf|. According to the MLS, the home is a 4 bed / 2 bath, 2,534 sq ft home on a 6,704 sq ft lot. 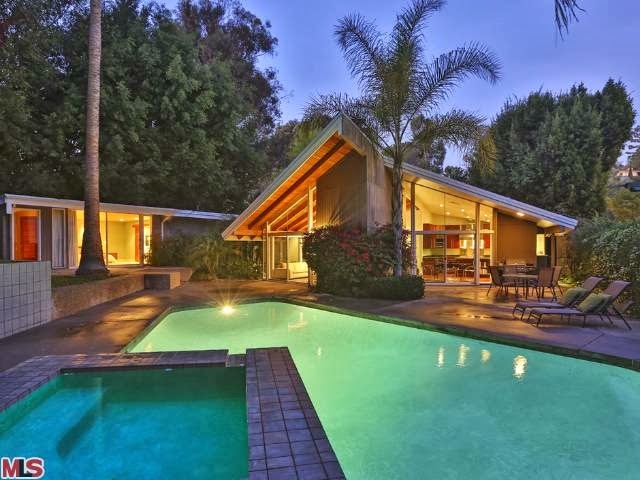 What Did That Westwood Little Holmby Home Sell For At 643 Westholme Ave? 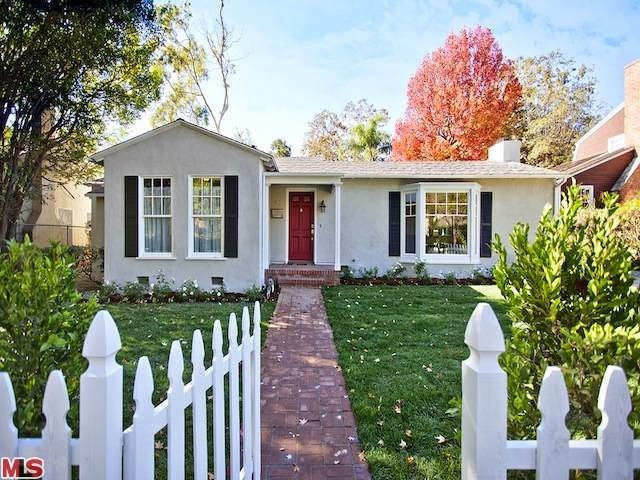 The Westwood Little Holmby home at 643 Westholme Ave, LA CA 90024 lasted 55 days (+112) days on the market before accepting an offer on 1/07/14. The home was first listed back in June of 2013 for $2,499,000. After 112 days on the market, the home was withdrawn off the market. A little over a month later, the home was relisted for $2,375,000 and spent just under 2 months on the market before accepting an offer. Perched up on a knoll, this is one of your 30-40 steps up to the front door and detached garage at street level type homes in Little Holmby. Inside the home had a mix of vintage late 30's finishes mixed in with some more modern updates. But I would not consider this a newer remodeled home. One of the really unique features to this property is the huge detached artist studio or potential guest house/home office in the rear yard that was designed by Frederick Fisher. It has a vaulted exposed wood beam ceiling, skylight and it's own bathroom inside. This Westwood Little Holmby home at 643 Westholme Ave closed on 3/03/14 for 2% under the asking price at $2,325,000 |$648 $/sf|. According to the MLS, the home is a 3 bed / 3.5 bath, 3,586 sq ft home on a 8,553 sq ft lot. 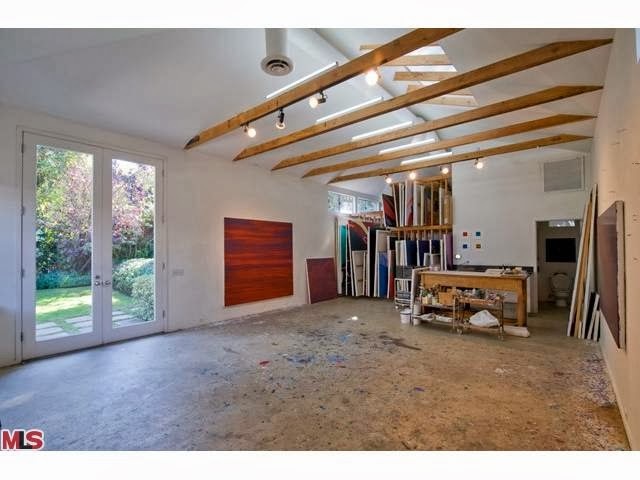 What Did That Westwood Home Sell For At 11228 W. Sunset Blvd? The Westwood home at 11228 West Sunset Blvd., LA CA 90049 lasted about 2 weeks on the market before entering escrow on 1/21/2014. This home was originally listed for sale back in September of 2013 for $1,550,000 and looked to have received an accepted offer in the first few weeks, well over the asking price. However, that didn't last and it fell out of escrow in late November. At which point, the seller raised the asking price up to $1,750,000. Probably closer to what had been accepted. But after a just a few days on the market, the seller took the home off the market for the Holidays. Then on January 9th, 2014, the home was put back on the market at $1,749,000 and sold quickly this time again and over the asking price. 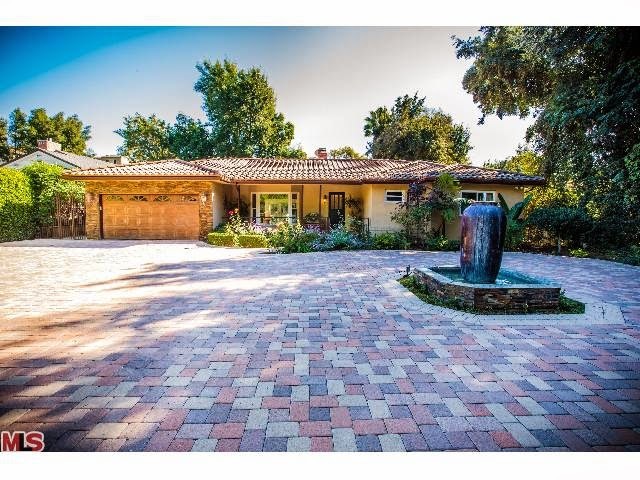 This home sits on the Westwood side of Sunset (south) and is a gated architectural style home. Updated throughout, the home is in move-in type condition. The backyard had a nice patio area and pool with palm trees that tower over it. The one downside is Sunset and 405 can be audible in the backyard for those that are sensitive to that. But you wouldn't get this type of house and land for ~$1.75m if the backyard was pindrop quiet. On 2/25/14, 11228 W. Sunset Blvd closed about 1% over the asking price at $1,766,000 |$907 $/sf|. 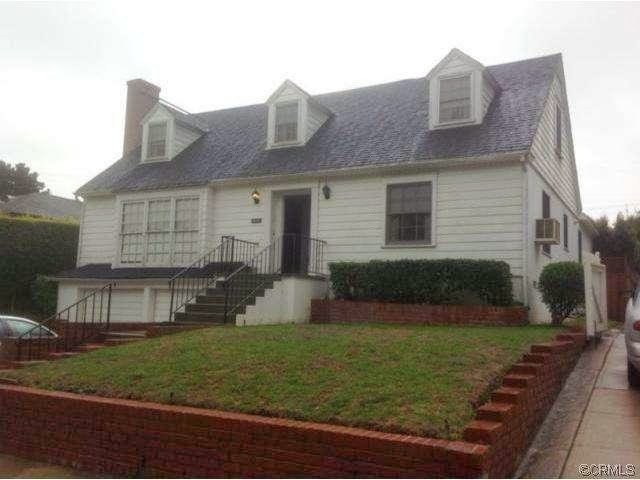 According to the MLS, the home is a 3 bedroom / 2 bath, 1,948 sf of living space on a 12,064 sf lot. The Westwood Little Holmby home at 930 Thayer Ave, LA CA 90024 lasted 2 weeks on the market before accepting an offer on 1/23/14. This home came on the market on the 9th of January for $2,195,000 and received multiple offers on the due date for offers. I consider this a nice fixer because the house looked to be in reasonably good shape, just dated. And I thought the downstairs floorplan and entertaining rooms were great. The wall between the smallish kitchen and breakfast nook needs to be knocked down and made into one larger updated kitchen. A big plus for this house is the front door is at the elevation of the street. We are mostly seeing homes in the lower $2m price range have steps to get up to the front door. So this house makes it easy if you difficulty with steps, have strollers to deal with, etc... The one downside with this house, like most homes in this section on the east side of Thayer, is the downhill backyard. Thus making it lower $2m range instead of upper $2m to $3m range if the backyard had been flat. This Westwood Little Holmby home at 930 Thayer Ave closed on 2/26/14 for 1.14% over the asking price at $2,220,000 |$615 $/sf|. According to the MLS, the home is a 5 bed / 4 bath, 3,608 sq ft home on a 8,496 sq ft lot.